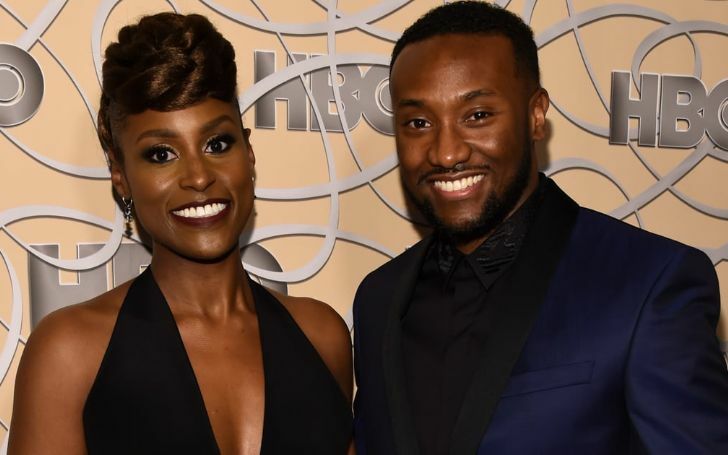 Insecure's actress Issa Rae is engaged to Louis Diame. 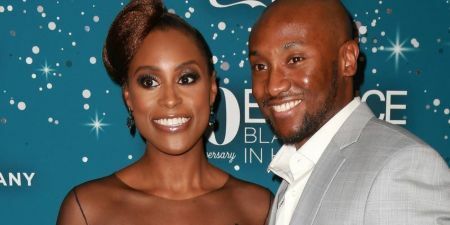 First of all, congratulation to the newly engaged actress Issa Rae and her now fiance Louis Diame. Prior to the recent 2019 NAACP (National Association for the Advancement of Colored People) Image Awards show her co-stars Jay Ellis and Yvonne Orji unknowingly broke the news that Rae is engaged to her long term boyfriend, Diame. Ellis and Orji told an ET reporter on the red carpet that they found out the engagement in a different way, rather than finding of it directly from the actress. But the two are very happy for her as they revealed that they were thrilled when they found out about the engagement. Issa Rae flaunts her engagement ring at the 2019 NAACP Image Awards. Orji said: "We're very excited for her." Then Ellis added: "We all found out in different ways because we're all on different text chains. We talk at different times, so we all found out at different times in different ways." The 35 years old actress who portrays the role of Molly, Rae's on-screen best friend on the show further continued saying that "the reaction was all the same, like, 'You out here in these streets getting married, boo!?' That was the reaction." Rae attended the event as well looking all flawless in an eye-catching yellow sleeveless long gown with a unique hairstyle that put her long espresso locks in a high bun. Making sure all the attention were on her, Issa completely rocked the long thigh slit dress she accompanied with a pair of black strap heels and a red cute clutch. Although the actress is yet to confirm the news from her side, a massive diamond ring was spotted on her engagement finger, which further sort of confirms the news itself. As a matter of fact, as soon as the fans noticed the ring, they immediately too hoped off on the assumption that the 34 years old actor, in fact, got engaged. Moving on towards the award show, Insecure scored eight nominations at the Award show including Outstanding Actress in a Comedy Show for Rae, Outstanding Writing in a Comedy Series, and Outstanding Comedy Show. In addition, the NAACP organizes the event every year to recognize and honor all the exceptional performances and entertainers in television, music, film, and literature. Anthony Anderson who returned back to host the event contributed in honoring the colored artists including Donald Glover, Beyonce, and the film Black Panther.